We are a participants in the Amazon Services LLC Associates Program, an affiliate advertising program designed to provide a means for us to earn fees by linking to Amazon.com and affiliated sites. Since we have an affiliate account with Amazon we receive a few pennies when an item is purchased through our links. There is no additional charge to you, and it helps keep the lights on. Thank you for shopping with us! Our first inflatable kayak was the 370. It is a little longer and works great for two people... maybe a small child along for the ride too. We sold our 370 and bought two 330's to use as solo kayaks and their smaller size makes them an easy portage from the RV to the boat launch. The Clam Screen Room- LOVE IT!! After battling with sand gnats and mosquitoes on our last trip, we decided to purchase a screen room to take camping. 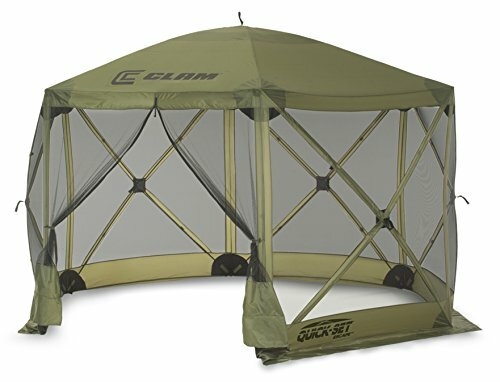 We saw this one at a campground in Florida and its screen mesh is fine enough to keep out the infamous "no-see-ums" as well as all the other flying pests! Easy to setup: just pull the tabs and it pops open. It stores compactly in an included duffle bag. You can also find rain panels that attach by velcro (already mounted on the screens). It comes in several sizes to accommodate your travel crew. The closed and packed unit is about six feet long by about 8 inches around. We have to transport it on the floor of our 25-foot long RV. 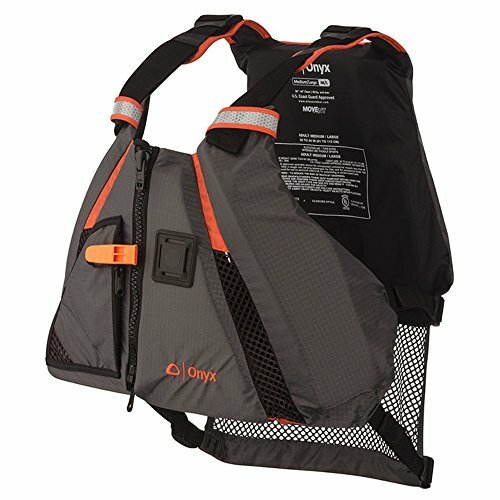 Most life vests sold in our local stores had too much padding across the lower back. That meant they pushed up around my shoulders when I sat in the kayak. These vests don't do that. Telescopic length makes it easy for Jim and I to use these poles (he is six foot and I am 5 foot 2, and they can easily accommodate the height difference!) These also have nice grips with a foam extension to allow a second grip surface. The wristlets help me to hold onto them. 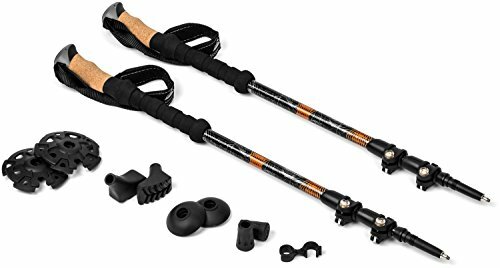 Poles are made of carbon fiber so they are light and won't fatigue your arms as much as some others we've tried. Assorted "feet" for a variety of surfaces are included. 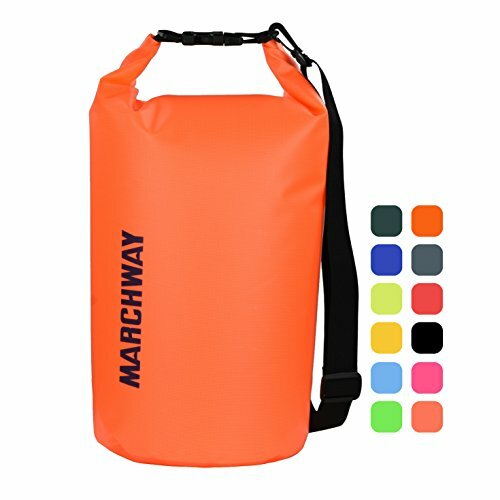 This is a really dry bag! It has a waterproof, double zip-lock seal main bag, an IPX8 Certified Waterproof Phone Case (3.9" x 6.7") with a very simple snap and lock access. It has dual-sided clear windows that allow you to text or talk on the phone, take pictures and video while still inside the case. Suitable for phones up to 6.5 Inches of diagonal screen size. Also included is a waist pouch (9.0" X 6.7") which works well for storing your wallet, cash, keys, credit cards and more in order to keep them dry.